Economic growth in East Africa is soaring ahead of other regions on the continent at close to 7 percent while the overall outlook for the rest of Africa is cautious but positive. Job creation and ramping up manufacturing will continue to be major priority areas for creating growth and employment across the continent the African Development Bank regional reports noted. The Bank launched four of its five regional economic outlook reports this week in Abuja, Yaounde, Nairobi, and Pretoria, with specific forecasts for West, Central, East and South Africa. The reports follow the January launch of the 2019 African Economic Outlook, which provides a broader, continent-wide perspective. Growth in Central Africa is gradually recovering but remains below the average for Africa as a whole. It is supported by recovering commodity prices and higher agricultural output. The region is one of the continent’s least integrated, with potential for reforms and greater linkages, the Central Africa regional report said. The West Africa Regional Economic Outlook calls on the region to explore innovative means of raising revenue through reforms that enhance tax collection, minimize tax evasion, and curb illicit financial flows. Between 2014 and 2017, West Africa’s GDP growth trailed the rate for Africa as a whole, though it was faster than in Central and Southern Africa. 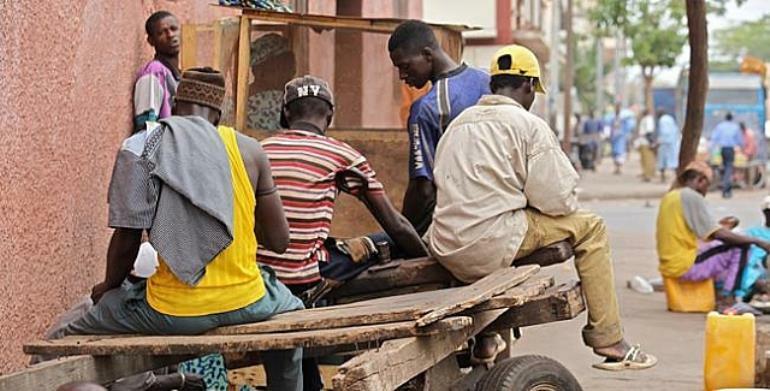 Countries bucking the downward trend, such as Cote d’Ivoire, Ghana, and Senegal, continue to offer positive examples of economic recovery in a sober economic environment. All the regions face similar risks to their economic prospects in 2019-20, these include rising debt, fragility, population growth, and climate change. The report outlines five trade policy actions that could bring Africa’s total gains to 4.5 percent of its GDP, or $134 billion a year. First is eliminating all of today’s applied bilateral tariffs in Africa. Second is keeping rules of origin simple, flexible, and transparent. The third is removing all nontariff barriers on goods and services trade on a most-favored-nation basis. Fourth is implementing the World Trade Organization’s Trade Facilitation Agreement to reduce the time it takes to cross borders and the transaction costs tied to nontariff measures.